When doing an outdoor lighting project, there are so many options to choose from. 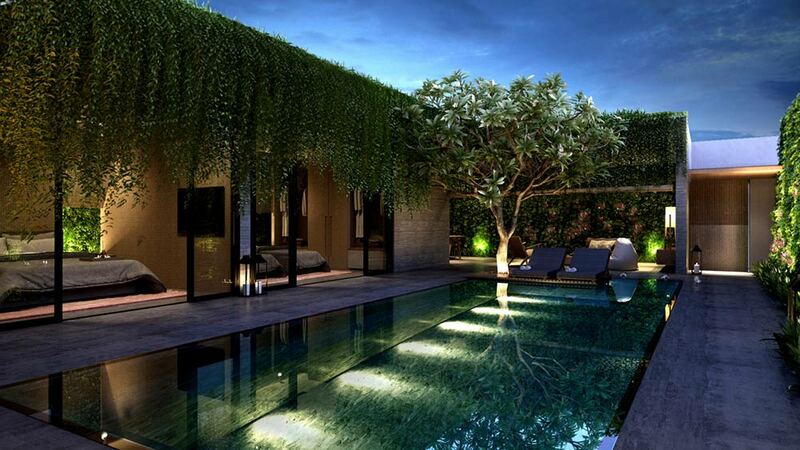 Among all available lights, the most energy efficient are easily the ones with LED technology. Once you know LED is the way to go, you have to know what beam you need, how wide of a beam is necessary, and how to calculate the beam spread you’ll need. Let’s take a look at a few of the key differences between an outdoor LED flood light and the LED spotlight. Spotlight – an LED spotlight will project a light beam that fairs on the more narrow side, at 45 degrees or less. This sort of beam spread is concentrated in a more specific area, and can be simpler to direct. Flood Light – LED bulbs in this category create a large beam spread that can cast from 50 to 120 degrees of light. As this is a larger beam, this light covers a significantly large amount of space without compromising energy efficiency (wattage) or light brightness (lumens) in comparison to the spotlight. LED spotlights can be seen when looking to highlight specific points or details, such as artwork in a museum, features in landscaping, or items for display. If your project requires illuminating large spaces that need a wide and even distribution of light, the outdoor LED flood light is the one you want to go with. These lights are used in settings such as parking lots, warehouses, other commercial spaces, and driveways to name a few. With your knowledge of how an outdoor LED flood light differs from an LED spotlight, and with this formula in hand, you’re now more than ready to take on that next lighting project. 1.Check your water meter before and after a two-hour period when no water is being used. If the meter changes at all, you probably have a leak. Check your sprinkler system for winter damage. 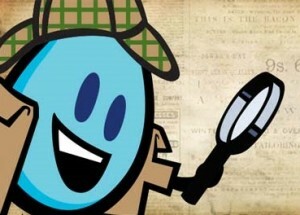 Of the many types of water waste in the average home, toilet leaks are the most common, and often the most costly. Toilet leak detection tablets will help you detect silent leaks. Simply drop the dye tablet into the toilet tank and lightly stir it. After approximately 15 minutes have passed, check the bowl for color. If color appears, there is a toilet water leak. Dye tablets are non-toxic and FD&C safe. If you have a leak, you will most likely need to replace the flapper. 2.Twist faucet valves, tighten pipe connections, and secure your hose to the spigot. For additional savings, twist a WaterSense labeled aerator onto each bathroom faucet to save water without noticing a difference in flow. 3.Replace old and leaky plumbing fixtures with WaterSense labeled models, which are independently certified to use 20 percent less water and perform as well or better than standard models. You can also use a moisture meter and a hose faucet timer to prevent over watering. For more information on Fix a Leak Week and to see if there are any events in your area, please visit the EPA’s website. According to the US Energy Information Administration, lighting accounts for 10% of total energy consumption in commercial buildings. This includes schools, hospitals, warehouses, offices, and other industrial spaces. Limiting the amount of energy lost from lighting is just as simple as changing the lights. The most common type of lamp found in these buildings are fluorescent T8 lights. By simply replacing them with T8 LED light bulbs, you can easily reduce energy usage and costs right along with it. When looking to replace fluorescent lamps with their LED counterparts, the first thing to check is wattage. 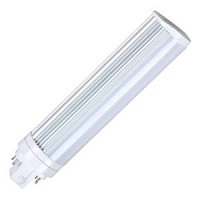 For example, if you’re replacing a 32-watt fluorescent, a 17-watt LED T8 will do the trick. This cuts the energy being used from just the one fixture by more than half! Imagine the savings possible after replacing them all. Next, do a comparison of lumens. While wattage measures the amount of energy being consumed, lumens accounts for the brightness of a bulb. Let’s take the same example from earlier. 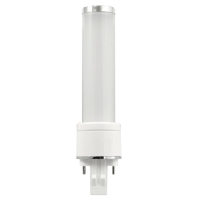 A T8 fluorescent that uses 32 watts of energy typically produces 2500 lumens of light. It’s LED equivalent, while using only 17 watts, produces 2200 lumens. Additionally, T8 LED light bulbs have a lifetime rating of 50,000 hours, more than 3 times longer than 15,000 hour average lifespan of T8 fluorescent lights. Also keep in mind the warranty period. 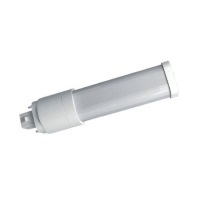 Generally, most fluorescent tubes have a 2-year warranty. Their LED counterparts are warrantied for as much as 5 years after the date of purchase. 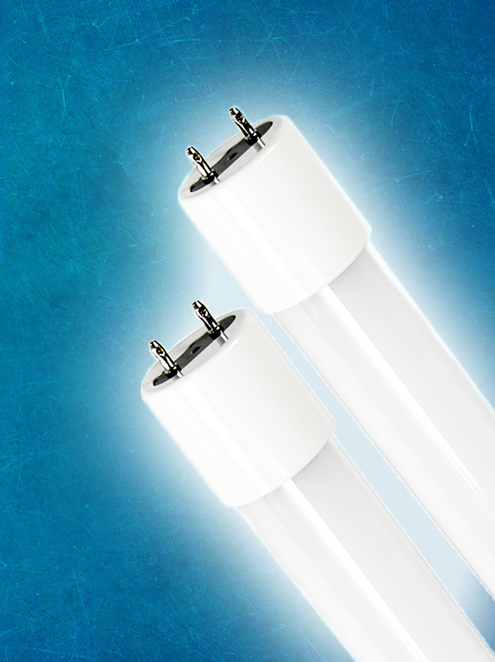 There are two types of T8 LED tubes: Plug and Play, and Ballast Bypass. If you’re looking to do a quick replacement and install, you’ll want to go with the plug and play LEDs. These models do just as the title suggests. Rewiring isn’t necessary, and this reduces the maintenance costs. Installing Ballast bypass LEDs is slightly more complicated, and a professional electrician should be contracted to do the job. The existing ballast in the fixture will first need to be removed. These lamps work by using the voltage that flows directly to the socket. 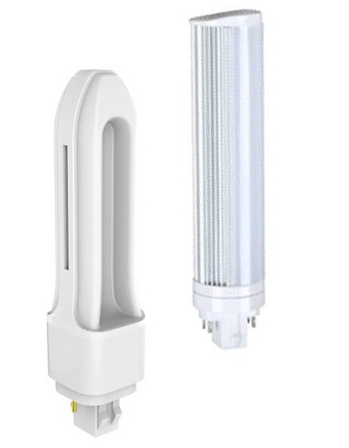 All LED tubes come in either cool white or daylight color temperatures, matching the colors of the already installed lamps. T8 LED light bulbs allow for less energy use, greater energy savings, longer lamp life, and less maintenance. They are manufactured to make the switch both seamless, and well worth it in the long run. A computer, DVR, and TV are just some of the devices we use daily in our homes and businesses. These are also some of the most common devices left plugged in long after being shut off. While powering off does reduce energy use, it doesn’t stop the device from using energy. One of the simplest way to combat this phantom energy use is with a tier 2 power strip. 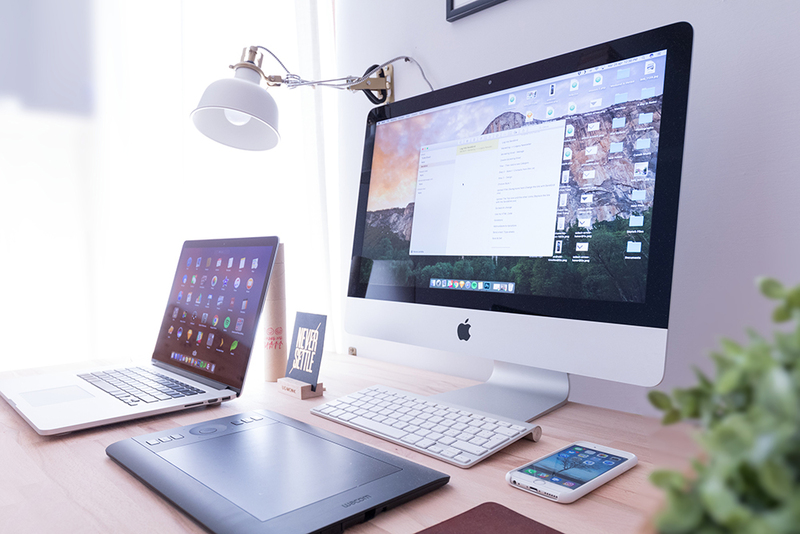 These advanced devices are highly intuitive, and can be used in both residential and commercial environments. Tier 1 and 2 power strips both work to reduce the amount of energy used by the devices that are plugged into them. The key difference between these two is the intuitive technology the advanced power strips feature. You don’t have to worry about experimenting in your home or business, because that’s exactly where these power strips have been tested. By using them on millions of devices outside of a laboratory, the tier 2 power strip is a proven energy saver. These power strips allow you to reduce the energy usage for 8 devices in either a commercial or residential setting with 2 always on, and 6 controlled outlets. If you’re looking for a way to save energy and money in these spaces, consider giving the advanced power strip a try. At the very least, you won’t have to worry anymore about the energy being lost when you walk away and forget to unplug. When searching for LED bulbs, you may have come across the phrases wet location and damp location. While they sound like they’re describing the same kind of bulb, these two ratings are very different. The bulbs are each given their classification by the Underwriters Laboratories. Here, each light undergoes testing to determine the environment it is best suited for. Understanding the difference between damp rated LED bulbs and wet rated LED bulbs will allow you to remain safe when installing them in fixtures for your home or business. What Qualifies as A Damp Location? What Qualifies as A Wet Location? United Laboratories has carefully crafted the rating system for these bulbs. In doing so, this prevents lighting from being installed in the wrong location, which can cause short-circuiting, and even be potentially dangerous. Understanding the difference between damp rated LED bulbs and wet rated LED bulbs will allow you to get the most out of your LED lights. It also takes you one step closer to making the right choices for fixtures both inside and outside of your house or building. The door of a home is where we let in and welcome family and friends. Unfortunately, it’s also where we let in air leaks, insects and moisture. Unlike loved ones, these can come into the home through doors even when they’re closed. The older the home, the more likely it is that you have a door (or a few) that could benefit from being properly sealed. Installing a q-lon door seal is a quick and cost-effective way to solve these problems, save energy, and ultimately lower energy bills. The simplest way to check for air leaks is to look at the door during daylight hours. If you see sunlight peeking through the door, it needs to be sealed. If you notice moisture at the door when it rains, it needs to be sealed. If by chance, you catch an insect trying to sneak into the home, the door needs to be sealed. 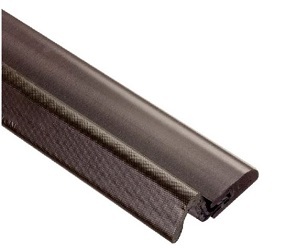 Metal doors – Use the aluminum q-lon weatherstrip. 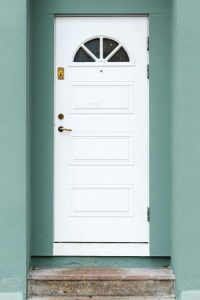 Wood doors – Use the wooden q-lon weatherstrip. Vinyl – Use the vinyl (PVC) q-lon weathertrip. This is the most commonly used type for residential doors. If you left the oven door open while baking, it would take considerably longer to reach the right temperature. The same concept can be applied to all doors. When inside air leaks out, and outside air comes in, regulating the temperature becomes increasingly difficult. Installing a q-lon door seal gives you back some of that control. It does so without you having to spend hundreds, or even over a thousand, on a replacement door. The material is industrial-grade, strong enough to seal gaps for years, and costs under $13 a piece. Installing this weatherstrip lets you start realizing savings without having to reach into your savings to get it done. What Exactly is A GU24 Base Bulb? This post has been updated from its original 2008 version. You may have heard of GU24 base bulbs and wondered what they are. 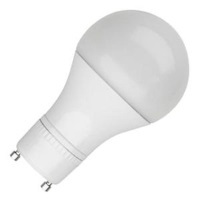 Available in both CFL and LED, these bulbs have a different base than the standard screw base bulbs. GU24 bulbs have 2 pins protruding from the base instead of the usual screw in base. To install the bulb, you would insert the pins into the corresponding holes in the socket and twist the light bulb and lock it into place. So why would you want to use a GU24 base bulb? What are the advantages of GU24 bulbs? GU24 bulbs are self ballasted i.e. the ballast portion of the bulb is already attached to the bulb and is easy to replace. You can easily change the wattage of the bulb, unlike pin base bulbs which require the socket to be changed for different wattages of bulbs. This offers more flexibility. The size and shape of socket is similar to an incandescent socket so it’s great for homes. Standard GU24 Bulbs are interchangeable between manufacturers. The LED GU24 is long lasting with an expected life of 25,000 hours of life which decreases the need for regular replacement. At Conservation Mart we offer these bulbs in a variety of color temperatures ranging from 2700K to 4000K. So next time you’re in the market for a lighting fixture, consider one that utilizes a GU24 base bulb. This post has been updated from its original 2013 version. PL fluorescent lamps have been in the conservation game for a while. Specifically named for the original creator/manufacturer, this lighting solution is both easy on energy consumption while being a bit complicated to understand. To take the guess work of it, here are a few facts about PL lamps. 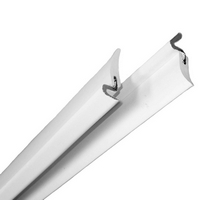 Philips Lighting took fluorescent lamps into their own hands with the development of PL lighting, twin-tube fluorescent lamps typically found in non-residential settings (office buildings, retail stores, schools, etc.). 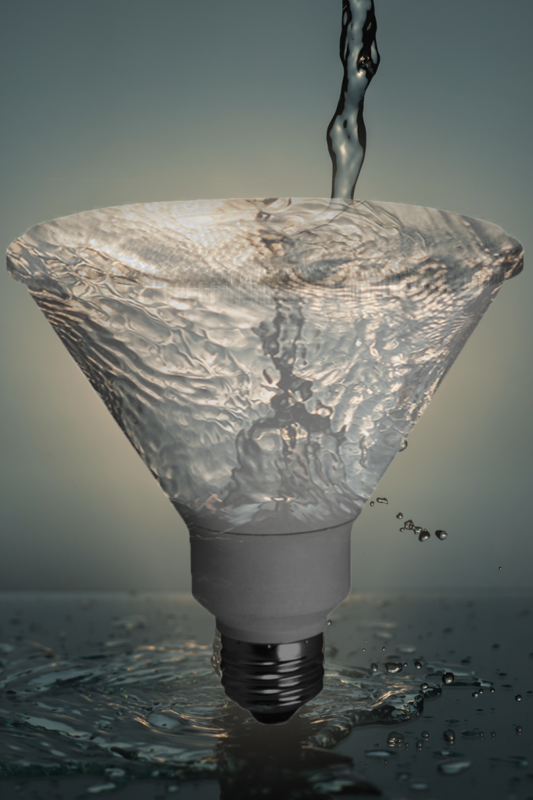 Other versions of the lamp come in triple and quad tubes and some can be used for more than just lighting, such as germicidal lamps – lamps used for disinfection. PL bulbs are pin-based, with either two or four pins, and installing them requires a pin-based lighting fixture. There are many base types, like GX23, with the different names representing the pin configuration of the lamp. In order to find the right lamp for installation/replacement, check the base for details of the type, pin configuration, wattage and light color. The brightness level of PL lamps is determined by lumens, which measures how bright a bulb is. This is different than wattage, which measures the energy output of a lamp. PL bulbs have the upper hand on incandescents because they use up less energy to display the same or a higher level of brightness. For example, a GX23 PL bulb displaying 840 lumens uses only 13 watts of energy while the incandescent version uses 60. Sometimes a little more information is required to properly install/replace PL lamps. Some fixtures have size limitations known as the maximum overall length (MOL). To find the length of PL bulb, measure from the base to point of the bulb. Though PL lighting has been around for a while, this cost-effective, energy efficient lamp continues to grow. With a life span between 10-13x their incandescent peers, PL bulbs don’t need to be replaced as often, and (thankfully) you won’t want to. PL lamps, given their name by their originator, Philips Lighting, have been in the game for many years now. These pin-based lamps are widely used and installed in a variety of fixtures, from recessed cans, outdoor fixtures, and ceiling fans, to table lamps and wall sconces. They’re used in both residential and commercial buildings across the country. Like most energy efficient lamps, these were first introduced in compact fluorescent format. While CFLs will always be the better choice over incandescent lamps, by considering CFL to LED conversion, you’ll discover an entirely new range of benefits. Just think of it as leveling up. For starters, let’s look at wattage. The wattage amount used by a bulb measures how much energy it consumes to illuminate the room. LED PL lamps that use only 12 watts of energy can replace CFL PL lamps that consume 26 watts. By switching out just one bulb, you’re cutting the energy consumption, and equally the costs, for that one bulb by more than half. LED lamps have been made to replace 13, 18, 26 , 32 and 48-watt CFL bulbs. In addition to saving money long-term, LED technology is such that it removes the glow and flicker that is so commonly associated with fluorescent lighting. The LED lights provide instant-on lighting, and warm up in no time at all. While CFLs typically come with a 5 year warranty and 10,000 hour lifetime rating, their LED counterparts have warranties upwards of 10 years, and are rated to last 50,000 hours on average. When shopping for PL lamps, you may notice some are labeled Plug and Play while others are labeled Ballast Bypass. Plug and play lamps attach directly into the socket of your fixture and operate using the ballast that’s already there. No additional wiring is required, making the transition both smooth and simple. Rewiring is necessary to install ballast bypass LED PL lamps, as the existing ballast has to be removed. They are, however, a great choice for anyone wanting a lamp that will call for less maintenance. Each type is available in horizontal and vertical design for illumination in both commercial and residential environments. PL lamps come in multiple color temperatures and either a 2-pin led bulb or 4-pin led bulb configuration. All have a base of either GU24, G24 or GX23. You’ll want to pay careful attention to these details in order to avoid getting the wrong bulb for your fixtures. They come in color temperatures that range from the warm 3000K to a cool 5000K. The warm, or soft glow at the beginning of the spectrum is ideal for living areas. The cooler light is what is typically found in office buildings, schools, and hospitals. Once you’ve chosen your wattage, ballast, base, and color, you’ll be good to go! You’ve already switched from incandescent to CFL. Now committing to CFL to LED conversion just got a little easier. This post has been updated from its original 2012 version. 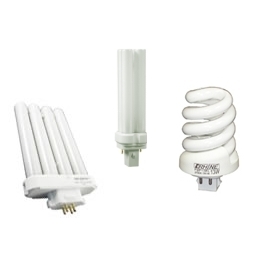 Compact fluorescent lamps use significantly less energy than incandescent bulbs, and use energy to produce only light. In comparison, incandescents use a great deal of energy, with the majority of it being used to create heat. 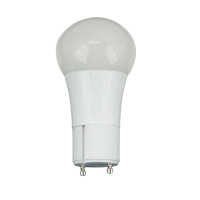 There are a variety of CFL bulbs available, with the GU24 base gaining in popularity. The 13w GU24 bulb is a great compact fluorescent replacement for 60 watt to 75 watt incandescent bulbs throughout the home. When choosing to replace an incandescent light with a GU24 compact fluorescent, it is important to know a few basic facts about the bulb you are planning to buy. Let’s get into the major differences between these two types of bulbs. The GU24 base means the bulb has two pins protruding from the bottom that twist and lock only into a GU24 fixture. Also differing from incandescent lights is how light brightness is determined. The amount of light emitted from an incandescent bulb is determined by the amount of energy it uses. The brightness of a compact fluorescent GU24 is measured in lumens. This is how a 13w GU24 bulb with 950 lumens can replace a 60 watt incandescent bulb, and use approximately 78% less energy to do so.